ABOUT 50 Year 6 Aranmore Catholic Primary School students have been learning Indigenous dance moves they will show off at the Mt Hawthorn Streets and Lanes Festival. In a move to bring diverse culture to the festival, Olman and John Walley spent two workshops this week teaching the children Indigenous-inspired dance that celebrates the Noongar season of Djeran. 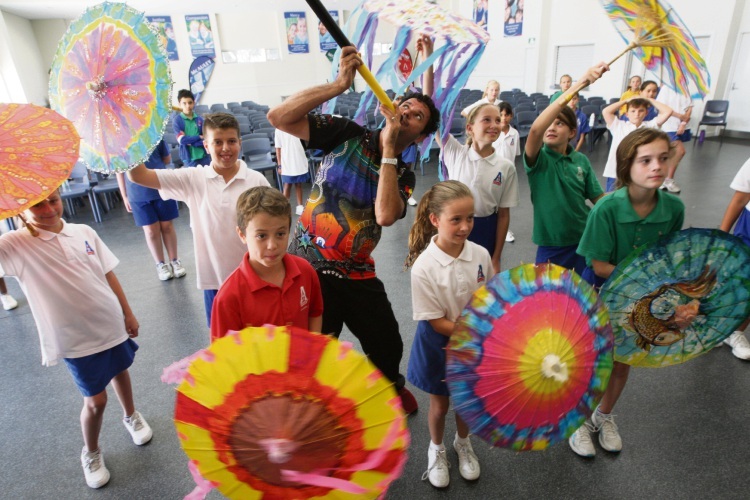 A third workshop involved the students decorating eye-catching umbrellas they will take with them on the parade. More than 70,000 people attended last year’s festival and organisers are anticipating similar numbers this year. City of Vincent Mayor Emma Cole said the festival was the perfect family day out with entertainment and activities for all ages. This year’s festival will include live music, pop-up bars, an Aboriginal art exhibition, petting zoo, sideshow alley, retail and roving entertainers. The festival is on Sunday, May 6 from 11am to 7pm. It will be along Scarborough Beach Road between Oxford Street (at Axford Park) and Coogee Street, down Oxford Street to Wilberforce Street and throughout surrounding side streets.